VIZ | Blog / Stardust Crusaders Blu-ray Is Finally Here! 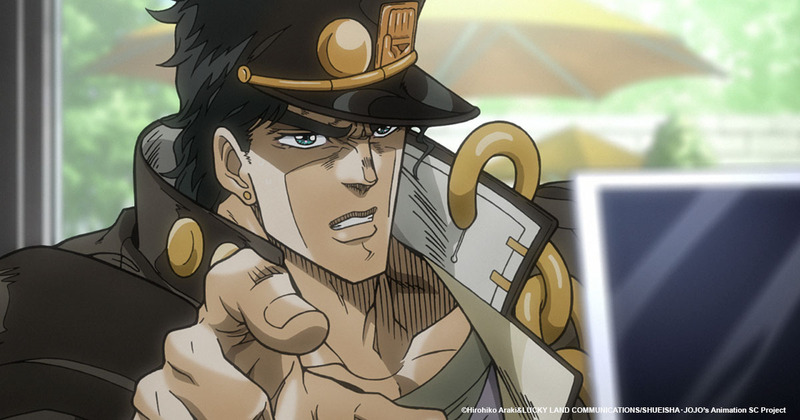 Stardust Crusaders Blu-ray Is Finally Here! The definitive JoJo's Bizarre Adventure arc is available in a premium box set worthy of the title! The bizarre adventure that JoJo is on continues! After many years under the sea, DIO has come screaming back and is more powerful than ever! Understandably, he's got an axe to grind with the Joestars (Jonathan did almost kill him). But he's not grinding it alone, this time he has a small army of henchmen armed with unbelievable powers called Stands. And this fight takes a new hero Jotaro Kujo around the world with his grandpa, Joseph Joestar! This is another big beautiful box set like the previous one. 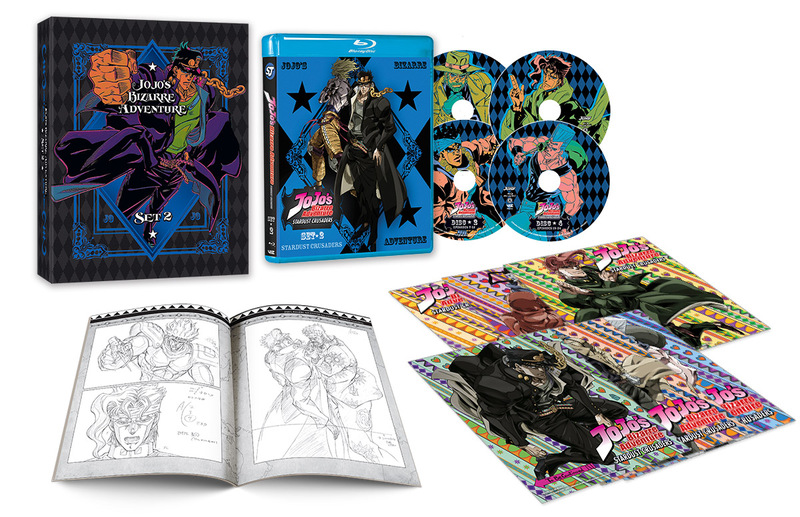 You get all 24 episodes which cover half of the Stardust Crusaders arc on gorgeous Blu-ray discs. The season itself is presented in incredible 1080p high definition, sourced from the Japanese home media releases, with both English language dub and Japanese with all-new English subtitles. All the original opening and ending songs are included, making for an experience fit for Lord DIO himself. 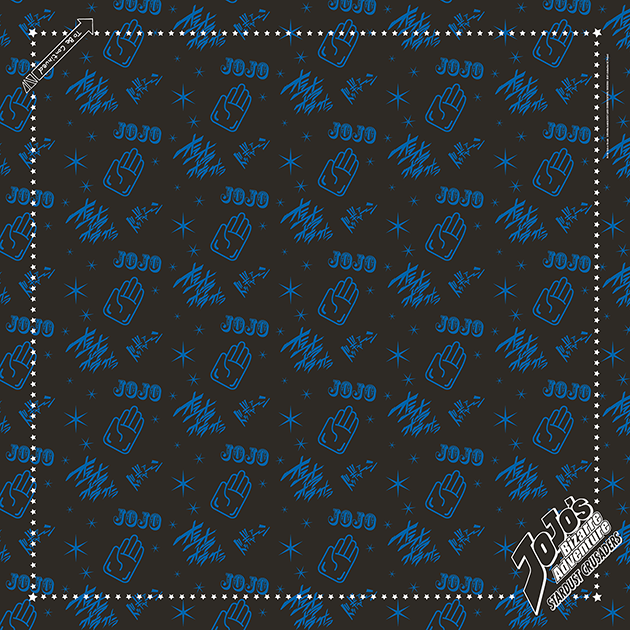 Get it with a free exclusive JoJo’s word-effects print bandanna at RightStuf, or just the set without the free gift on Amazon or in-store at your favorite anime Blu-ray retailer. The box features eye-popping colors on a premium, hinged metallic foil chipboard box. Inside, along with the discs, you’ll find a huge 104-page booklet filled with storyboards, director’s notes and loads of info about the episodes. Dig even deeper into the depths of its near-infinite splendor and find nine full-color art cards, each based on the original Japanese Blu-ray releases. Plus, more cool extras like voice actor interviews and an art gallery! 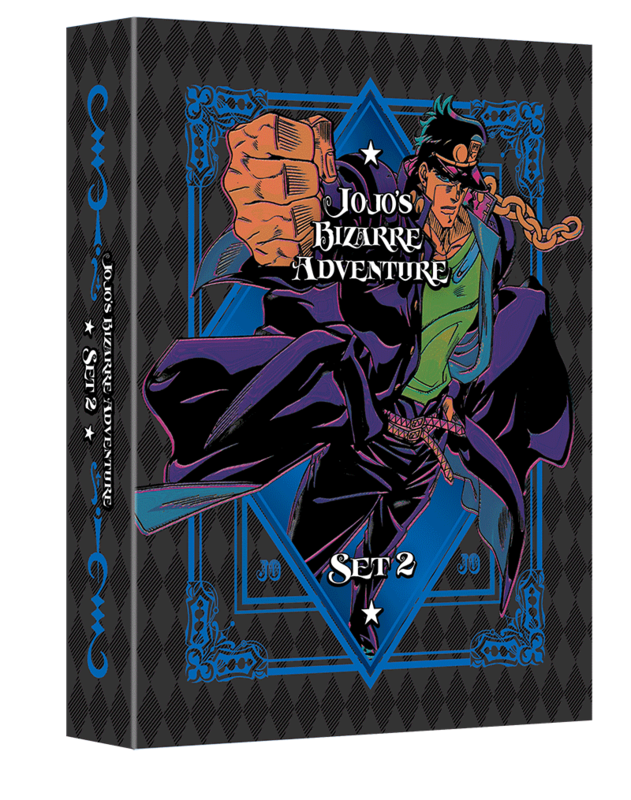 This is a primo box set with all the bells and whistles a true JoJo's fan could ever want. And don't forget, you can also watch all-new episodes of the third arc of the series, Stardust Crusaders, Saturday nights on Toonami. And we've got free manga chapters and subtitled anime episodes to enjoy right here on viz.com as well.